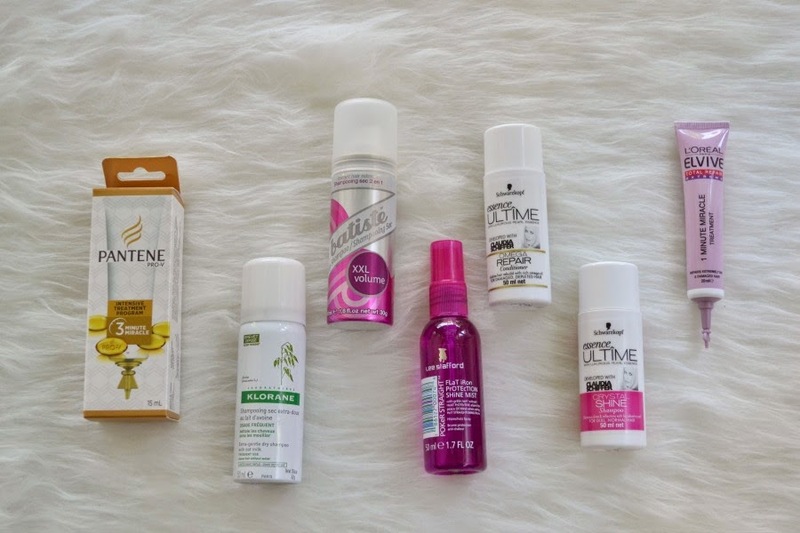 Bottled Beauty: Priceline Haul: Hair Goodie Bag GWP! 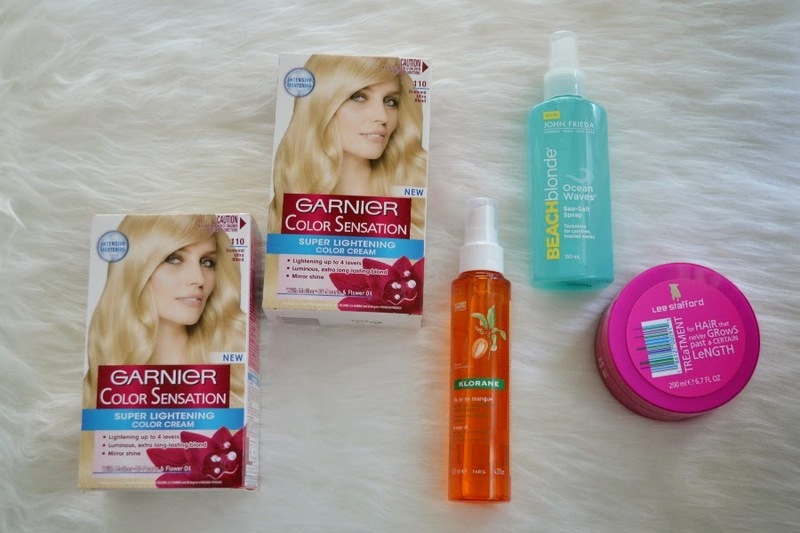 Priceline Haul: Hair Goodie Bag GWP! 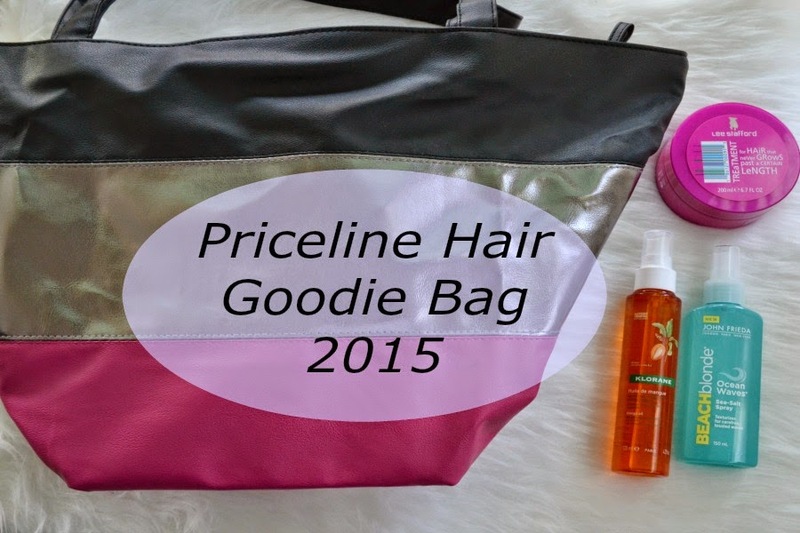 Today Priceline started their free hair goodie bag when you buy $40 or more from selected haircare brands. I've previously got their haircare goodie bags (see 2014's here and 2013's here) and they're a great way of trying out new products. The haircare goodie bag is always quite affordable as they have sales on the brands that qualify for the goodie bag. So not only do you get a bag full of beauty loot for free (this one is worth over $190), you also get some great bargains on what you're buying. Originally I went in to stock up on dry shampoo (as it's one of the beauty products that I go through regularly), but of course when I went into the haircare aisle it went out the window. This is an oil, that's in a lightweight spray/mist form. I saw this and thought that it would be fantastic for summer as Adelaide is going through a heat wave at the moment and sometimes oils can feel heavy and greasy on your hair. It helps to nourish your hair as well as protecting it from UV rays. I'm really looking forward to seeing how it performs compared to my other hair oils. This was recently re-released after many years off the shelf. It was a cult favourite back in the day and while I've never used it previously, I was excited to see it released last month. This spray is supposed to give you a matte finish and be non drying (which a lot of sea salt sprays are). It also has a lovely coconut scent. Beachy/bedhead hair is always in and I can't wait to see how effective this is. I've previously bought this before and it's a lovely hair mask. You're supposed to apply this to both your roots and ends, but I'll probably just apply this to my roots and use a different mask on the ends. This protein mask helps to strengthen your hair and moisturise the scalp. While it won't be a magic pill (or mask in this case) to grow your hair, it does help keep your hair in better health... therefore giving you the best chance of keeping longer length. I also bought 2 boxes of hair dye from Garnier as I'll be dying my hair back to blonde very soon. These didn't qualify for the GWP. As usual, the goodies come in a tote. It's a black, pink and silver tote that easily holds all of the haircare products. There are also some vouchers for a free hair dye from Revlon and Solfine, as well as 2 vouchers to save on John Frieda products. I really like when they have the vouchers for the hair dye as it means you can choose one that works for you or you can just not use it and not have a box of hair dye sitting around. The goodie bag is available until Wednesday 25th of Feb, unless sold out earlier. Will you be picking up one? Because I have really curly, frizzy hair, I find the haircare bags just don't contain enough products that I can use to be worth it. But it's always fun to see what everyone got anyway!